Excited to announce I’m adding 29 new dates to the Beer Never Broke My Heart Tour! 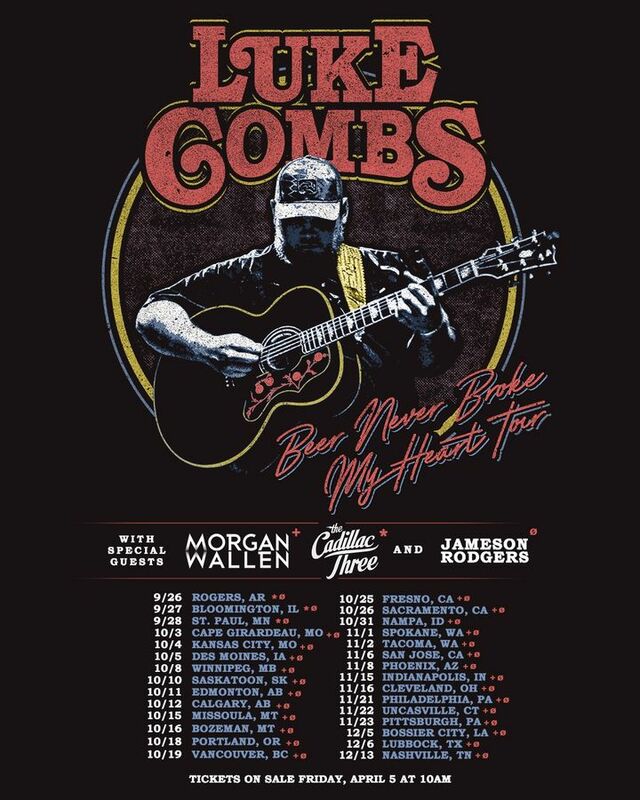 Join my fan club at bootleggers.lukecombs.com to receive presale info. General onsale Friday, April 5 at 10 AM local venue time. This man sang his heart out. When I tell you it feels like every song was sang to you personally, from his number ones to the songs I dug around YouTube for, this man is special. Best show in business! Can I make this a 10 star Luke needs to add more dates for god sake I can’t pay $110 for lawn tix, but I’m dying to see him again. Thank you Luke if you don’t win some ACMs and CMAs this fall there is something very wrong you are so great live. Sometimes performers don’t sound as good live as they do recorded but my gosh you blew The Schottenstein Center up last night. We attended 22 concerts last year and if this was one of them it would have been top 5. Right now we are looking at attending 1 more than last year and I can say with confidence this is going to be in our top 5 2019 concerts!! The BEST CONCERT I have ever attended. I would gladly pay to attend this same show two or three more times minimum. Wish Luke Combs could come to Dayton!!!! !